Sunbeam Tiger is on my list, along with a big Healey and the Morgan Plus 4 above. Then again, I could just do it the easy way and buy a Corvette. Last edited by monochrome; 11-06-2018 at 04:10 PM. 1LT + ZL1 Silver over red, full-length single stripe. Body color vents, 7-Speed manual. $65,000 delivered. That’s actually doable. Back around 1969, I was driving my '69 VW Beetle 1500...which I drag raced a time or two...I still recall my best time...which was 19.4 seconds @ 68.5 mph..not exactly retina detaching acceleration over the 1/4 mile...but not bad for a liter and a half of 'Bug' . But I digress, In '69 I was looking at a small used car, curb lot as we used to call them back then and there were two cars that had great appeal. One was a Sunbeam Tiger, the other an Austin Healey 3000. Both were well used and both were going for $ 1800 CAD each and both were out of my price range, as I was a young guy and making payments on my V-Dub. I do think a modern performance car like a new Corvette makes a lot of sense. You get very well engineered performance, state of the art brakes, suspension, engine performance and...most importantly ..... you also get a bumper to bumper warranty. I'm not a mechanic, but when I look at my vintage iron that I'm slowly working on...the '67 Matchless Scrambler...I find there has been poor repair on a variety of things that needed fixing... over it's 51 years and 26,000 miles. Broken off engine cooling fins, snapped bolts, bodged up electric wire repairs and I haven't even gone into the engine yet. However, judging by the oily condition of the electrodes on one spark plug...I'm expecting at least one burnt valve and/or broken rings, etc...in at least one cylinder. My experience...and it's not extensive...but will be expensive...tells me that restoring old performance, sporting vehicles is not for the faint of heart. But when I think of it, that isn't a surprise, considering that most of the guys that first get hi po vehicles want to run the...you know what...out of them and then there are the owners after....who likely will continue in that vein, but just don't do proper repairs/maintenance oft times. But in the end, as with my Matchless and my other vintage motorcycle...a big single cylinder (SR 500) Yamaha...more often than not I've chosen the hard way. But as you say, the 'easy way'...buying a new performance car... has an awful lot of appeal. We are pleased to report good news concerning 4-Wheeled Morgans for the USA. To review the 4-Wheeled Morgan status, their current production cars do not meet USA regulations. Further, the NHTSA Low-Volume program is not producing results. Finally, a “world-compliant” 4-Wheeled Morgan is years away. Working with Morgan Motor Company as a parts supplier, Morgan Cars Mid-Atlantic, Inc. (MCM) has entered into a program to receive 4-Wheeled Morgan components that can be assembled here in Pennsylvania. MCM will be able to offer its customers a true “Tribute” Morgan Plus 4 and Morgan Roadster beginning in the 2nd half of 2018. These cars will be identical to those fully assembled by Morgan, the difference being that the major components will be united and tested in Pennsylvania, not Malvern Link. MCM will take a measured, deliberate approach to obtain vehicle documentation that will serve you, the original owner, not only at the time of purchase, but also at the time of possible resale. All components for these cars will be purchased from the UK in Pounds Sterling (GBP). Using today’s exchange rate ($1.33) as an example, the base price for a Plus 4 will be $69,995.00, and the base price of the Roadster will be $79,995.00. Both prices are FOB Lewisberry, PA. Options, applicable taxes and documentation fees, as well as changes in the exchange rate, will affect the final price. To place your order and receive a production slot, a deposit of £5,000.00 (approximately $6,650.00 at today’s rate) is required. To learn about available options, please visit the Morgan Motor Company website (Morgan Motor Company). We are happy to provide a quote for a vehicle equipped as you desire. You can have your brand new Plus 4 for about the same cost as the Vette. And you'll never have to worry about figuring out which car in the WalMart parking lot is yours. I have a friend who restored a '63 Austin Healey 3000 with his dad when he was in high school, and still has it in running order. It's an awesome looking and sounding car. He let me drive it once, in trade for a drive of my Vette. Yes, a lot of appeal. My S4 is a lot of fun to drive, it's practical, and has an MTBF (mean time between failure - I'm an engineer!) of about six orders of magnitude greater than the Vette. 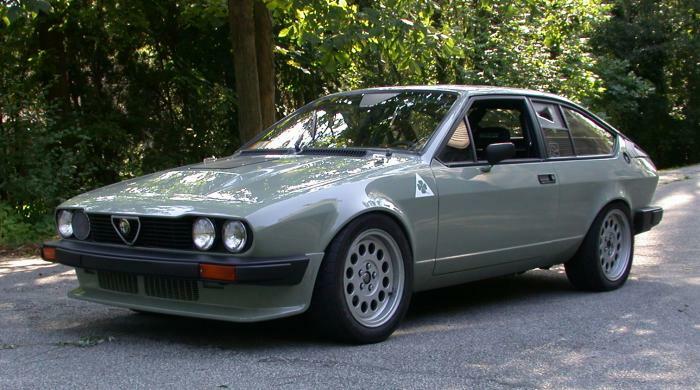 Mine's maybe an odd one, but I've still yet to ever have an Alfa GTV/6, which I think is just the most beautiful and best-balanced hatchback ever, and they've figured out how to stop them from breaking. Also you can put somewhat more power in without loading up the front with turbos now, too. More realistic plans would be either a 70's Celica mild resto-mod or taking my Volvo off the road for ...well, mostly an engine and trans swap, really. But, yaknow, if I did that maybe I'd have the dash off just to simplify stereo system wiring and make my custom gauge pod something really special. So, if I just upgraded brakes so I could more cheaply get BBS mesh rims would that basically be in resto-mod territory? A respray would be nice, but I might just re-shoot some clearcoat and call it 'patina' when that inevitably isn't as nice as you'd wish it could be. Last edited by Ratmagiclady; 11-05-2018 at 01:56 PM. I occasionally drive by a shop in Baldwin Long Island that specializes in Alfas. I drive past Morgan Motors of New England in Copake NY when I visit The Berkshires. 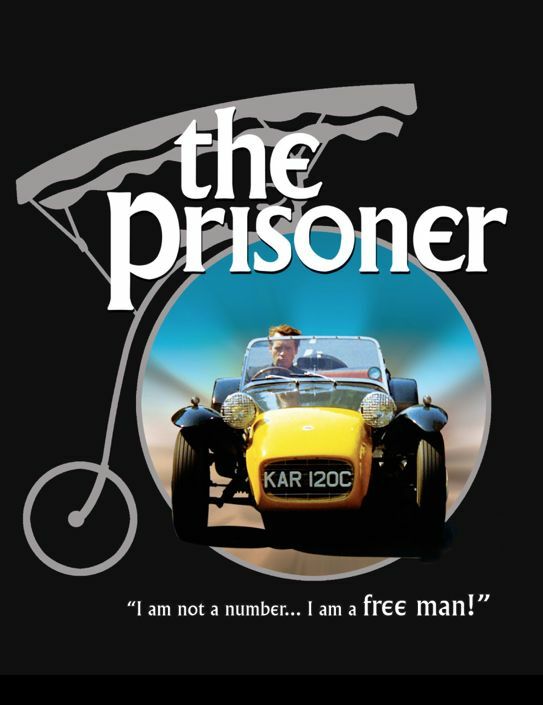 I've fancied a Lotus Seven since first seeing one in the famous 1960's TV series The Prisoner. Last edited by ChrisPlatt; 11-05-2018 at 06:52 PM. 2019 Jeep Grand Cherokee track-hawk in black. Last edited by Ex Finn. ; 11-05-2018 at 07:17 PM. Hee, when I was a much littler car-nut we knew the local Lotus Seven kit importer, who gave me all kinds of brochures and swag and photos of them. I was of course all for building one. Do people actually race Trackhawks? Or do you just go offroading really fast? I guess you could take it to Budd's Creek and dirt track it. In St. Louis a Trackhawk is the alternative Executive Vehicle, as in ‘a M5 is so boooooooooring’. Off-road means parked on the grass at the main country home and garaged at the pied a terre. On Fridays and Mondays, moves from / to the city faster. There is a better chance of seeing one at the Budds Creek MIR doing a 1/4 mile than using the dirt track. At 5500 pounds and a high center of mass turning may not be its strong suit. What? It's not being used for it's prodigious capabilities, such as going 0-60 in 3 seconds across a field of stumps? Fording rivers at 150 mph? I know I suggested in an earlier post that an engine to consider would be the Ford 1960's K Code 289/271 HP engine. They are no doubt, a great little performance engine. But when I think about it, it could be expensive to buy, hard to find, it could be high maintenance...considering that it has mechanical lifters that have to be adjusted, etc. I recall a few, one in a '65 Mustang fastback, 4 speed, that a boy friend of a work friend of my mothers, drove. Boy that thing would move and the exhaust sound was something else. Those engines weren't common even back then. I'm thinking a 1990's Mustang 302 V8...rated at 225 hp ...with either a 5 speed manual of automatic might be something more reasonable in cost, less in maintenance and could be souped up as there are lots of performance parts out there for the Ford 302. The K Code 289 would have more 'historical' appeal I know. But as you have said there are lots of options out there for this Kirkham model. Now I know I shouldn't say this as many would feel a Cobra should have nothing but a Ford engine, but I will as I'm a Chevy guy. The modern Chevy V8...the LS series...seems to be the modern hotrodder's go to... performance engine. An LS can also come as a factory crate engine (as can a Ford V8)...with warranty, etc...and a choice of power ratings. Just another option, but I must add...I'm not a mechanic and don't know anything about what adaptions would be necessary for any engine, but I'm sure Kirkham has all this figured out. The engine choice is an interesting question. Ford has a lot of current performance stuff in the catalog. When Ford decided to go back to LeMans again, they used a twin turbo 3.5L V6. Even a turbo 4 would make enough power. I think there is no reason to go with a big block with all these other options. I'd be strongly tempted to get the polished aluminum body, just so everyone can tell it isn't fiberglass. Speaking of Caterham/Lotus Sevens, they can look pretty OK with a combination of BRG and some aluminum showing, say, on the bonnet, etc. I bet a combination job like that could look kind of nice, but maybe do something like color along the top of the vehicle or wide stripes, leave enough aluminum showing to really set itself off against that.